Willdowdean is fat. But she's OK with that. Willowdean reckons the best thing to do with a bikini is to wear it. Her mother organises the annual town beauty pageant, and fondly calls her daughter Dumplin'. Willow's OK with all that too, but when love comes to call, and best frien... read full description below. Willdowdean is fat. But she's OK with that. Willowdean reckons the best thing to do with a bikini is to wear it. 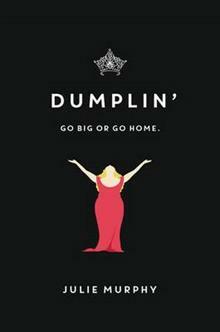 Her mother organises the annual town beauty pageant, and fondly calls her daughter Dumplin'. Willow's OK with all that too, but when love comes to call, and best friends start to change, then suddenly Willow isn't quite as okay with everything, so how is she going to deal with these new challenges? And when is she going to get another kiss like THAT one, again?